Home Jobs & Education What Does A Pharmacy Technician Do? Pharmacy technicians are responsible for assisting pharmacists in all of the daily tasks needed to dispense prescription medications to patients with various medical conditions. With direct contact with customers or patients, pharmacy technicians are involved in filling prescription orders, collecting payment, keeping records, and other administrative tasks so that the pharmacy can operate as smoothly as possible. 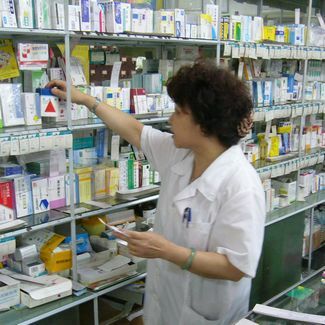 What do pharmacy technicians do? In most cases, pharmacy technicians work primarily in pharmacies, including those found in supermarkets, drug stores, and other general merchandise stores. 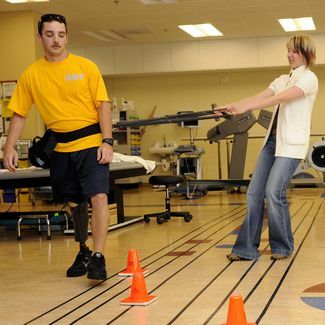 Some technicians may also be employed in hospitals, nursing homes, outpatient clinics, rehabilitation centers, or ambulatory health care services as well. 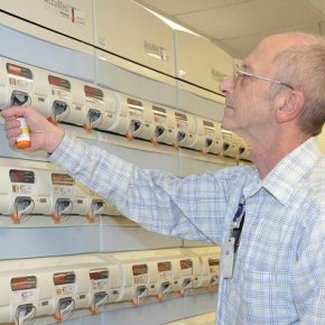 When pharmacy technicians work with hospital or other healthcare settings, they may have expanded daily duties for preparing a greater variety of prescriptions for intravenous medications and making the rounds to deliver medications to patients. Since pharmacies and hospitals are open at all hours, many pharmacy technicians are required to work irregular full-time hours on their feet on nights or weekends. During their usual workday, it is common for pharmacy technicians to work closely with nursing staff to prepare medication packets and with physicians for prescription refill authorizations. Becoming a pharmacy technician usually requires earning a high school diploma or GED equivalent with thorough on-the-job training or postsecondary education in pharmacy technology at vocational school or community college. Due to the daily duties, pharmacy technicians are expected to have a comprehensive knowledge on arithmetic, recordkeeping, pharmacy law, patient ethics, chemistry, and uses and doses of medications. In order to have a successful career as a pharmacy technician, individuals must have strong customer service skills for interacting with clients, listening skills for understanding customers’ needs, mathematical skills for compounding medications, and organizational skills for keeping detailed patient records. Pharmacy technicians must also be detail-oriented to avoid the serious health problems that could result from potentially fatal mistakes in filling medications. How Much Does a Pharmacy Tech Make? How Long Does It Take To Become A Pharmacy Tech? + Infographic How Much Does a Radiology Technician Make? What is the Average Dental Technician Salary? How Much Do X-Ray Technicians Make? What Are The Top Pharmacy Schools In The U.S.? What Does A Physician Assistant Do?